Are you looking for something different for your event? Energy Entertainments offer ‘Glow with the Flow’ shows using cutting edge glow technology. Great for venues that do no allow fire entertainment. Choose from a choreographed glow show to music OR roving and podium glow entertainment. 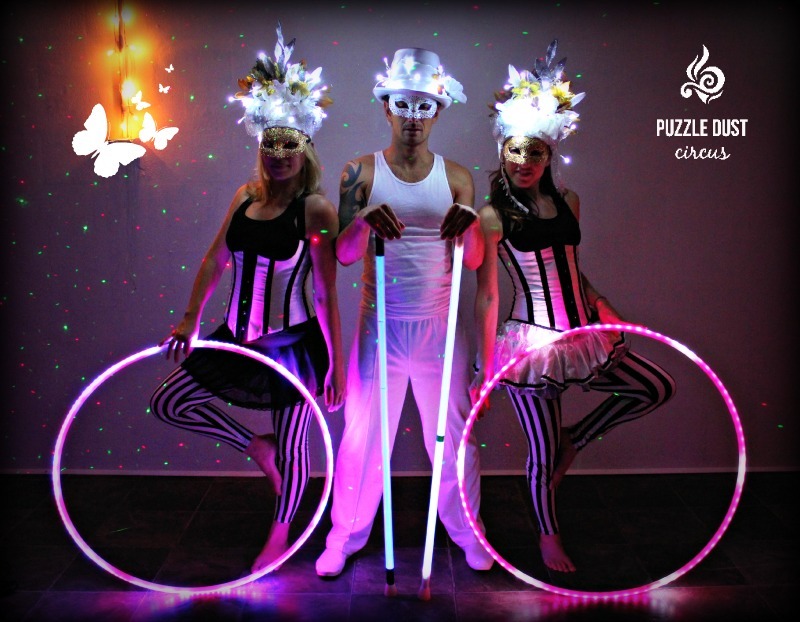 Select from male or female performers to entertain with glow poi, glow sticks and glow hoops. Captivate your guests with a mesmerising and hypnotic glow show. Perfect for creative indoor entertainment. Lighting up events around Australia and worldwide. Glow shows are available on the Gold Coast, Brisbane, Byron Bay, Sydney, Melbourne and beyond! Find out more today by contacting us here. Energy Entertainments glow light shows, available worldwide.